I see quite a few of us have been using this method recently to refashion so I'll join in with my effort. I started with a skirt by Espirit bought for £4.99 from Cancer research UK in Warrington. 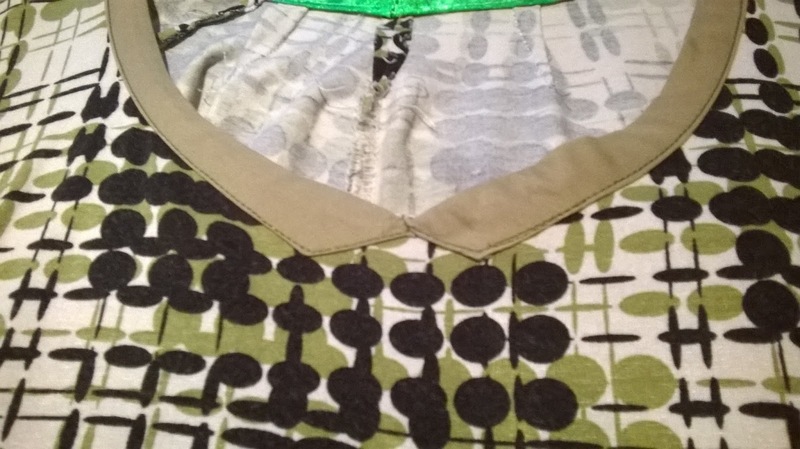 The bottom half of this skirt was made of panels which had been sewn together 'inside out' with the seams on view, and the top part was just like the top of a pair of trousers. This made for an odd fit. There was, however, a useful belt. 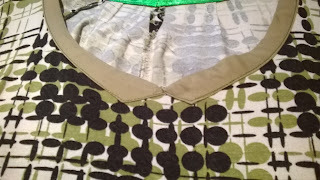 I unpicked the top and bottom half of the skirt and turned it the other way out so the seams were hidden. 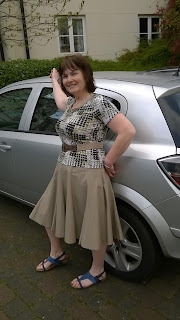 I then made a t-shirt style top from an old phase eight dress than had seen many wearings but was now past its best. 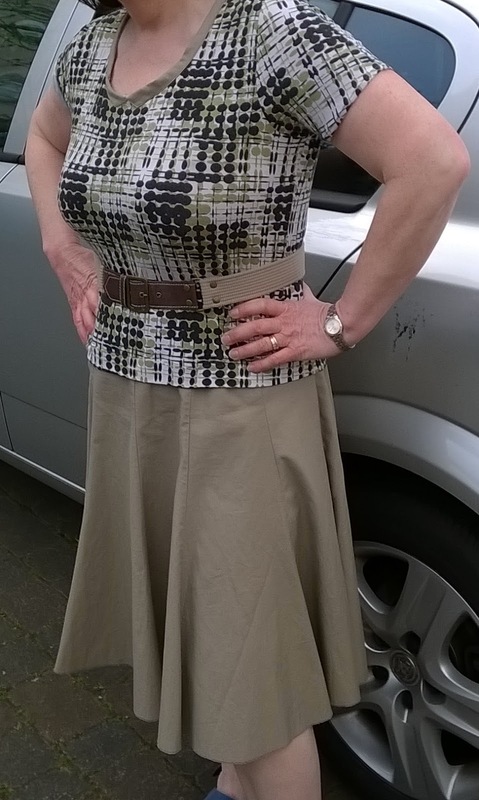 I forgot to take a before picture of this dress but basically I have just used it for fabric. 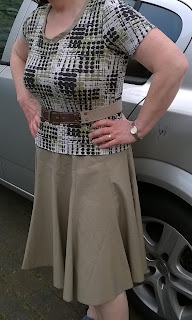 The phase eight dress had a draped top and a full skirt. 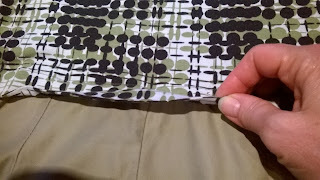 I made a pattern from a well fitting t-shirt I already owned, and used the pattern to cut out the t-shirt components from the dress. I'll be better organised next time with the before photos, promise. I made some bias binding from the skirt to finish off the neck. When I attached the skirt element, I wasn't totally happy with it. 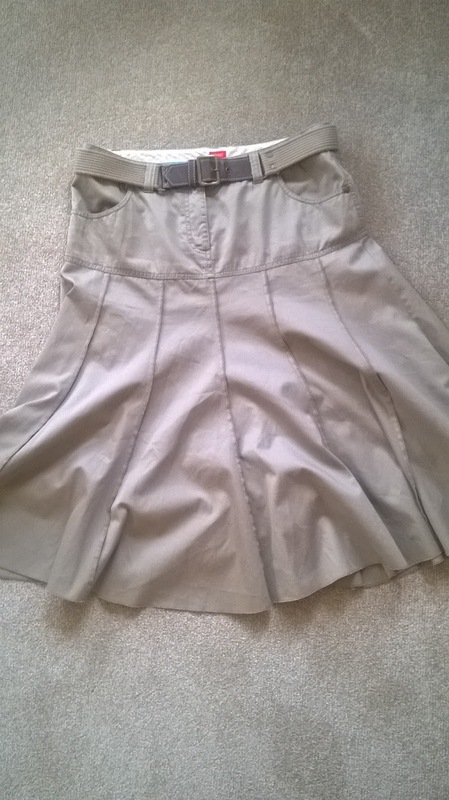 I'd made the top a bit long, and the fabric was quite thin so the heavier material of the skirt pulled it down even more. I decided to fold the top over and stitch it down to shorten the length a little and add a bit of strength. Now I was happy with it. What I like is this dress looks like a skirt and top but is more comfortable because there is no skirt waistband. I will definitely be using this technique again in the near future. 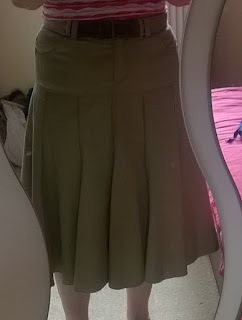 Friends and family are not impressed when I tell them I've made this dress - 'you mean you stitched a t-shirt onto a skirt' would be a typical comment. usually say! It looks so much nicer as a dress! Great job!